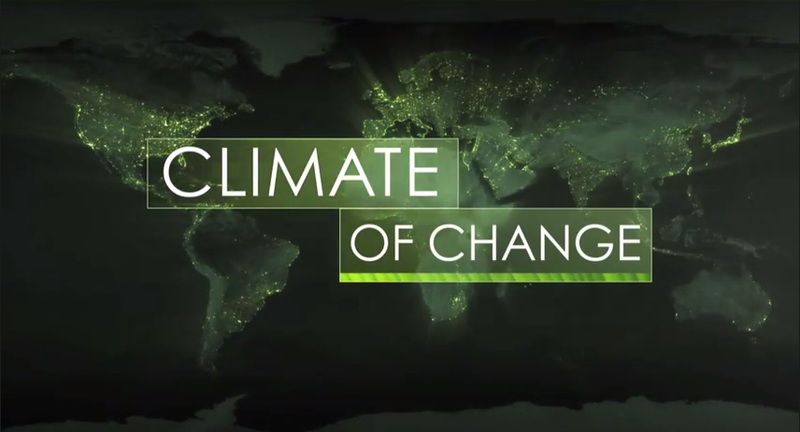 Climate of Change is our premier video series showcasing the University of Washington's sustainability efforts in the areas of research, teaching, co-curricular programs, and campus operations. This four-part series highlights the University's role in shaping how we teach students, develop research, and manage our resources for a sustainable society. Join us on this exciting journey through the eyes of UW students, faculty and staff. The Climate of Change video project was made possible through a university-wide collaboration of our students, faculty and staff at our Seattle, Tacoma and Bothell campuses. You can also watch clips from this series on the UW Climate of Change YouTube playlist, or tune into the series on UWTV, Channel 27. See their programming guide for details. Please see the acknowledgements for those who were involved in the production of this Climate of Change series.